Skerries' ferry Filla in Lerwick 19 February 2014. 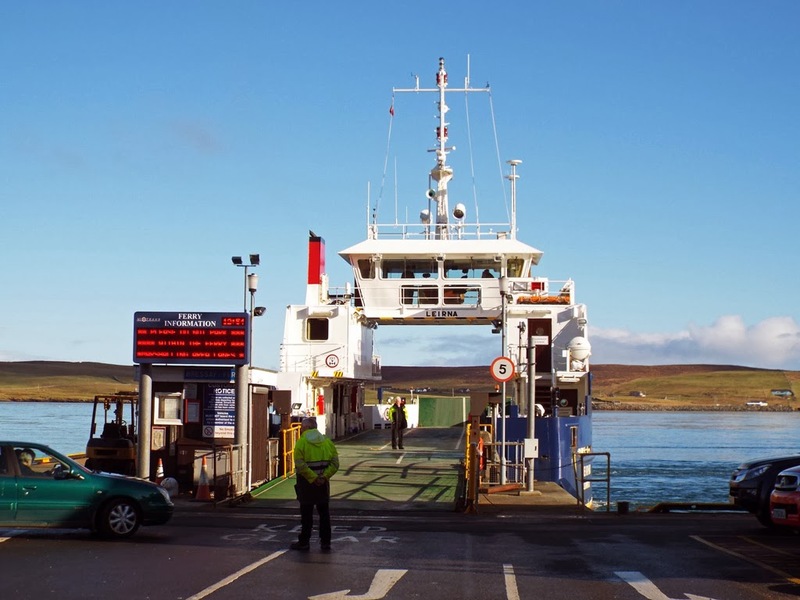 Bressay ferry Leirna on service 19 February 2014. 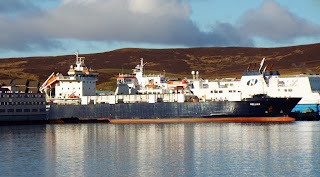 Northlink's ro-ro cargo vessel Helliar in Lerwick (Hrossey provides the backdrop) 19 February 2014. 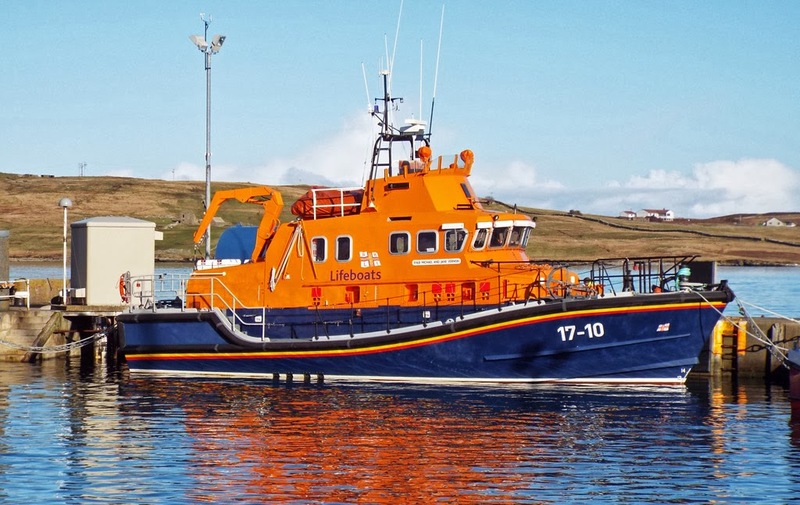 RNLB Michael and Jane Vernon (17-10), Lerwick's Severn Class lifeboat, on station 19 February 2014. 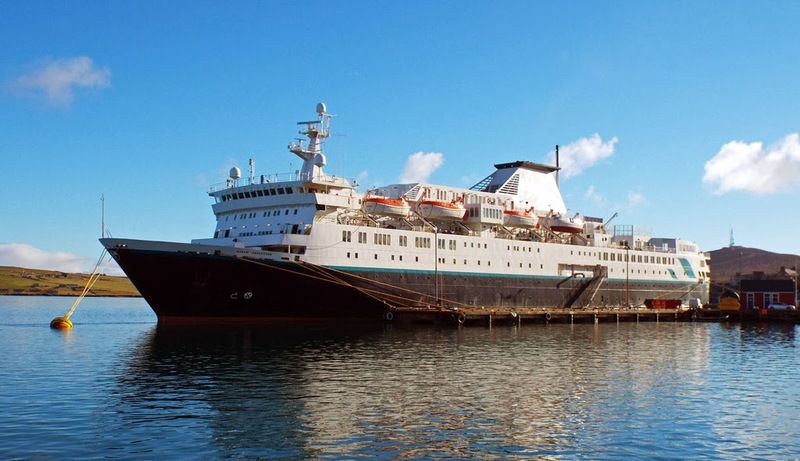 Despite first appearances, this is not a very unseasonal cruise visit to Lerwick 19 February 2014! 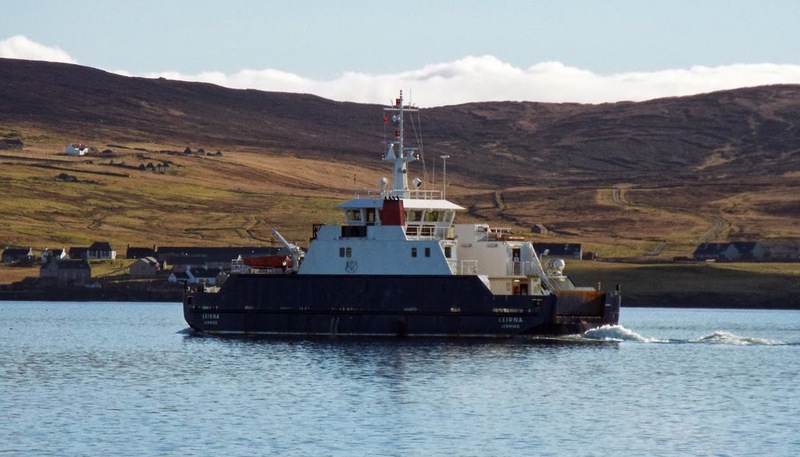 Ocean Endeavour has been contracted to provide yet more accommodation for construction workers at Sullem Voe. 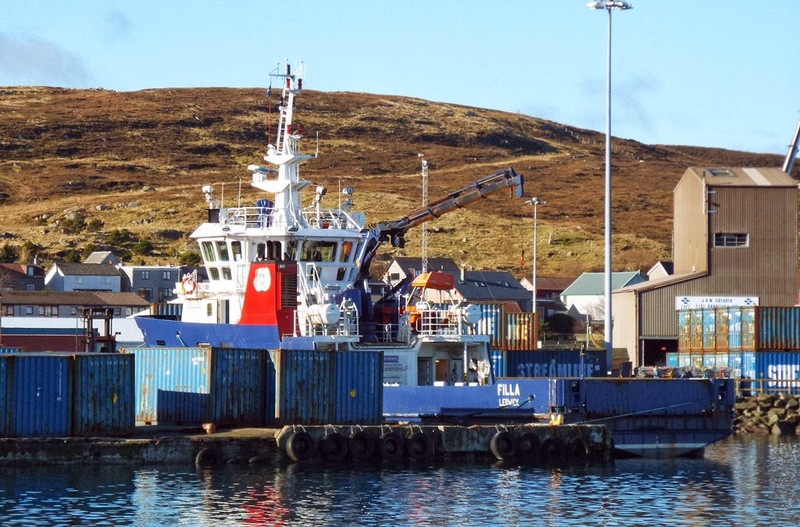 Another accommodation barge is located in Scalloway Harbour. Lerwick Harbour tug/pilot cutter Knab in Lerwick Harbour 19 February 2014. 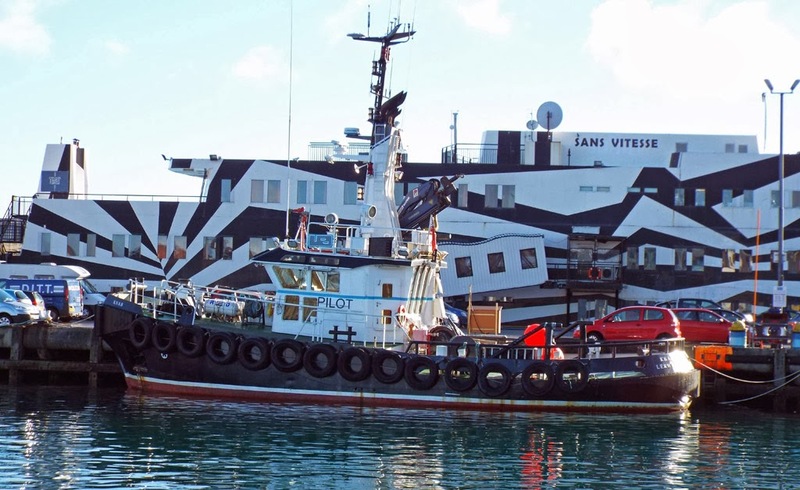 The zebra appearance of the adjacent barge masks her quite well! 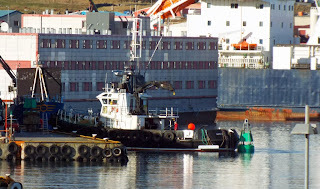 Accommodation barge Sans Vitesse in Lerwik Harbour 19 February 2014. 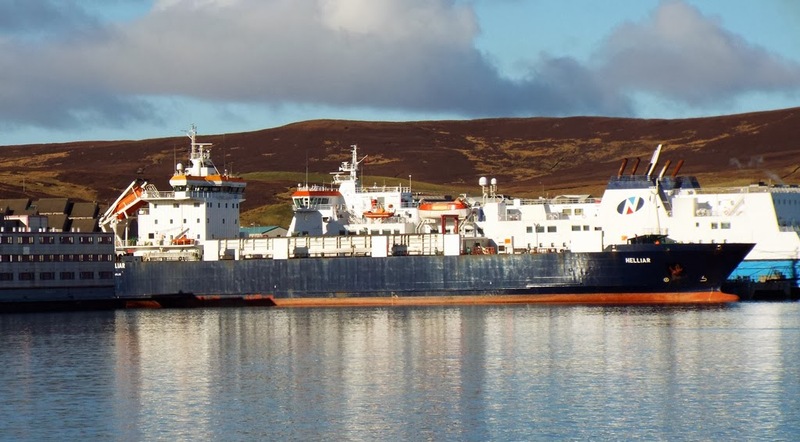 Accommodation is at a premium on Mainland due to the number of workers employed in the construction of the Total gas plant at Sullem Voe. 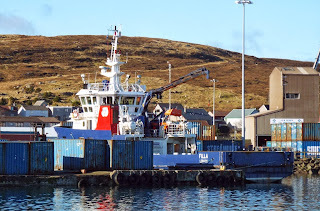 Lerwick Harbour tug Kebister comes away from the quay with an accommodation barge in the background 19 February 2014. 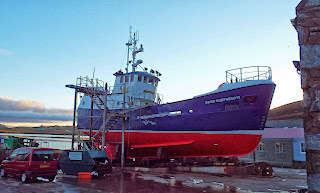 Fair Isle ferry Good Shepherd IV receives some TLC in Scalloway 19 February 2014. 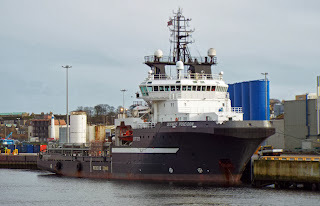 North Star Shipping's Grampian Talisman in Aberdeen 12 February 2014. 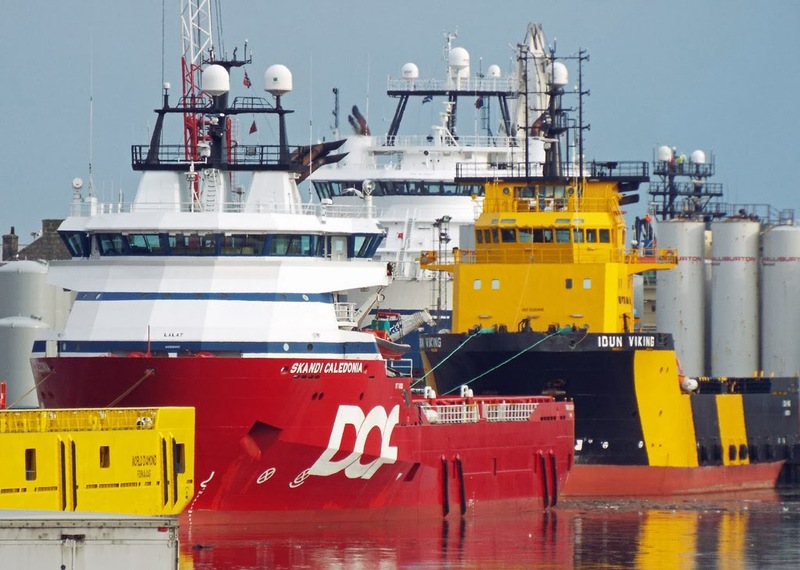 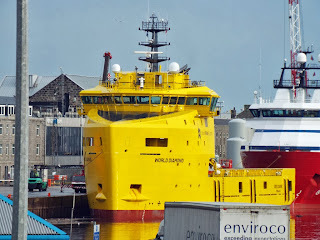 Offshore supply vessel World Diamond in Aberdeen 12 February 2014. Platform supply vessel Skandi Caledonia in Aberdeen (Idun Viking lies astern) 12 February 2014. Northlink's Hrossey in Aberdeen 12 February 2014. 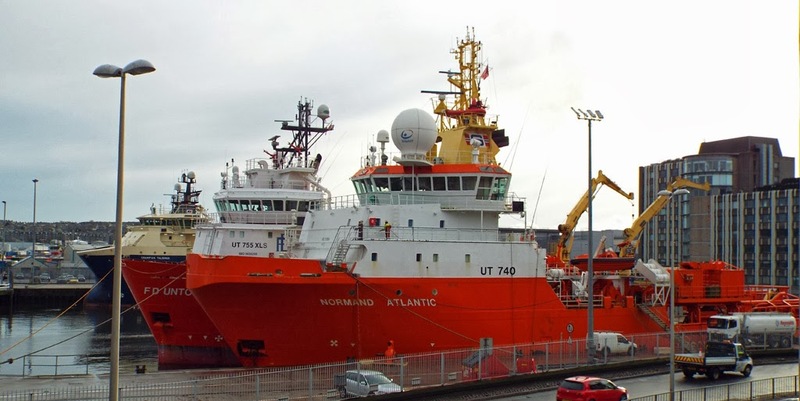 Anchor handler Normand Atlantic in Aberdeen 12 February 2014. Supply vessel FD Remarkable in Aberdeen 12 February 2014. 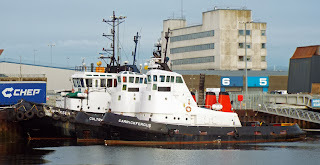 Aberdeen Harbour Tugs Carrickfergus, Cultra, and Hemiksem 12 February 2014. 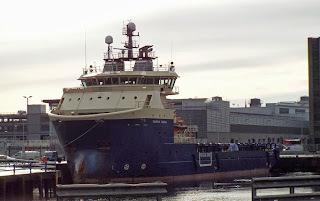 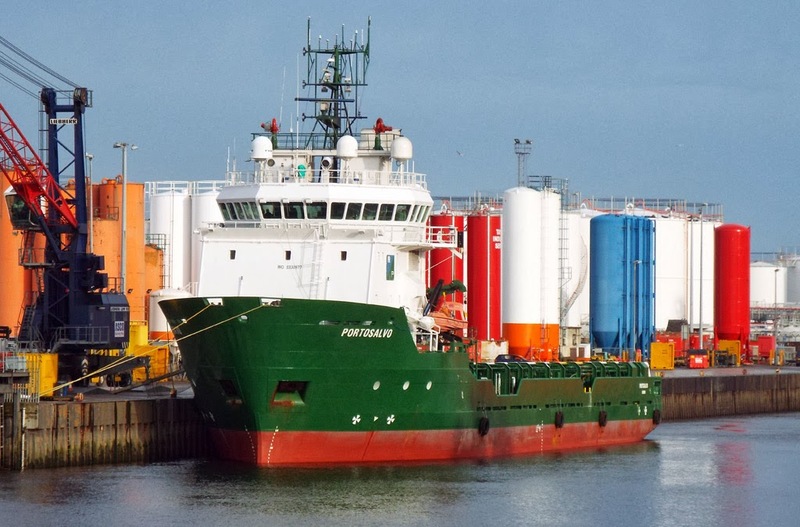 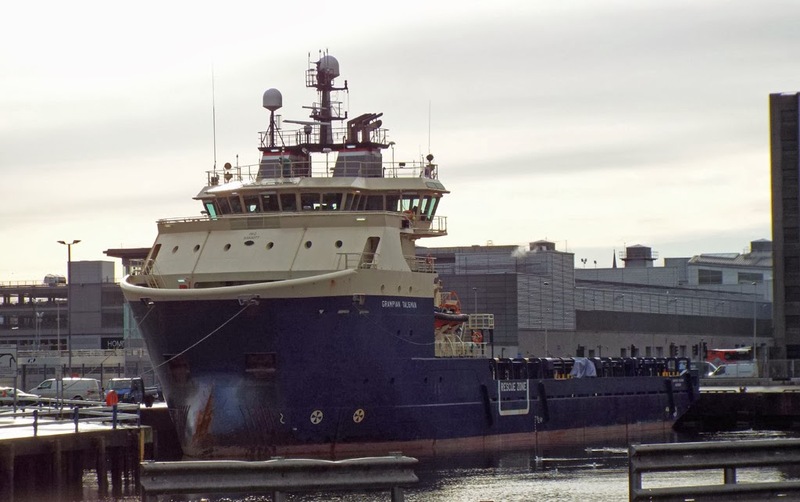 Offshore supply vessel Portosalvo in Aberdeen 12 February 2014. 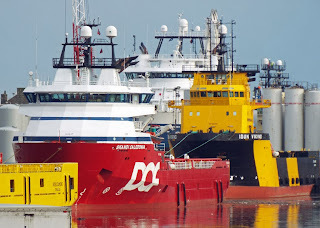 Anchor handler Olympic Poseidon at the mouth of the Dee 12 February 2014.